Pocket coil notebook with 30 pt. polypropylene cover and logo printed on every sheet. Simplicity works, as proven by this pocket coil notebook with 30 pt. 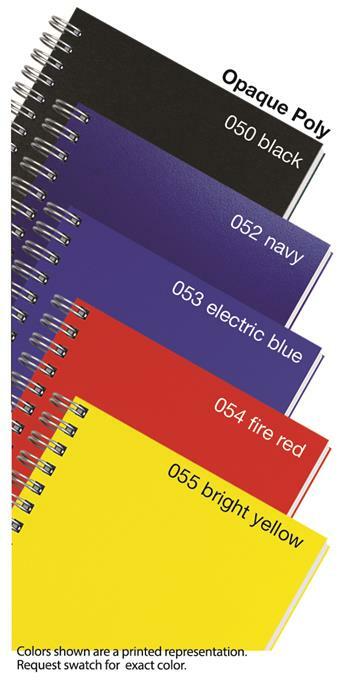 polypropylene front cover and free logo printed on every inside sheet. Contains 40 sheets of 50 lb. 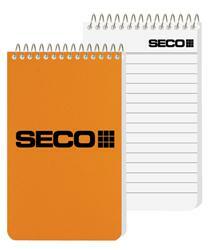 white offset with ruled and logo printed on one side in one color on each sheet. Coil bound on 2 7/8" side with rounded corners. Bring it to the meeting or use it to remind yourself to thank the person who suggested this wonderful promo!